Jim Dunn Racing has named John Hale as their new Funny Car Driver for the 2015 Mello Yello Drag Racing Series. JDR also officially announced that ALO Drink will be the primary sponsor for the upcoming season. 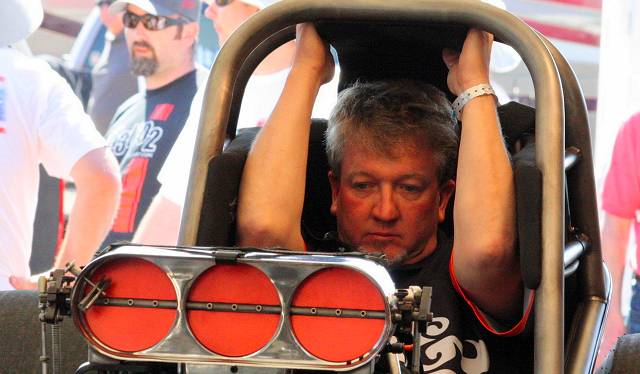 John Hale, a native of Texas, replaces driver Jeff Arrend behind the wheel of the Nitro Funny Car. Jeff Arend drove for Jim Dunn Racing for the past two years who made a name for himself upsetting Matt Hagan in 2013 at the qualifiers in Indianapolis. “Our goal is to go out and do the best we can for our sponsors and fans, while making it into the Countdown to the Championship,” says Jon Dunn son of team founder Jim Dunn. ALO Drink is a aloe vera based beverage. The ALO Drink team hopefully will get some more recognition this year with the ALO race car.